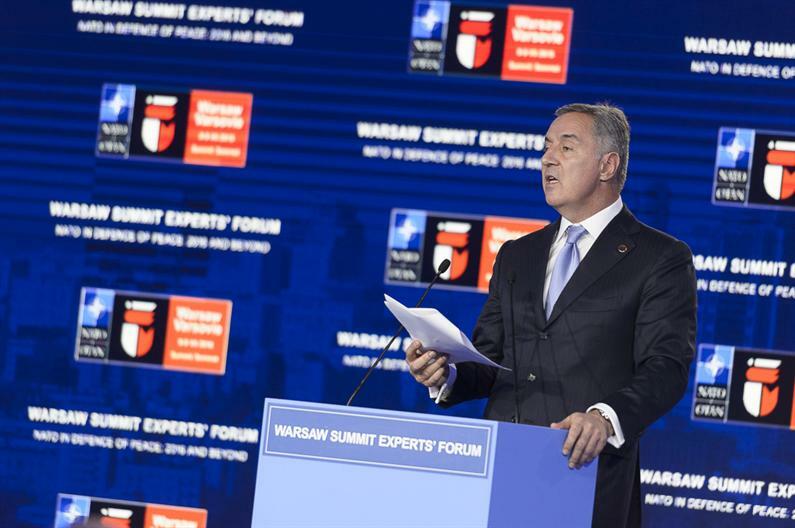 After the NATO Summit in Warsaw, in an interview for the website EU observer, Montenegrin PM stated that Russia has its “strongholds” in the region, whose sole purpose is to work against NATO and EU integration of the countries in the West Balkans. Đukanović accused Moscow of actively working with anti-NATO parties and media in Montenegro in order to prevent Montenegro’s membership in the EU and NATO. According to Đukanović, 30% of the population in the West Balkans is against EU and NATO accession. He noted that the people of the West Balkans still have a certain emotional connection with Russia due to historical ties. The main problem however, according to Đukanović, is the mentality of the anti-NATO minority in Montenegro, which prevents them from realizing the benefits of EU and NATO integration due to their fear of change; that mentality makes them “very good prey” for propaganda. The Prime Minister of Montenegro called upon the EU to stop pondering about the advantages and shortcomings of the EU enlargement, and instead implement a strategy against Russia. He said that the EU should help West Balkans countries in their fight against poverty, and give diplomatic support to its “allies” in the region. Montenegro is not a full member of NATO yet; the nation signed the Accession Protocol with NATO in May, and was invited to the NATO Summit in Warsaw, but has to wait for all 28 member states to ratify the protocol in order to become a full member of the North Atlantic Treaty Organization. However, Montenegro’s NATO path faces strong opposition by the nation’s pro-Serb parties who call for a referendum on the issue. Last year, several protests against the coalition government and its NATO integration agenda were organized. As we reported previously, during the second day of the NATO Summit in Warsaw, the General Secretary of NATO, Jens Stoltenberg, stated that Montenegro might have to wait a year before becoming a full member of NATO due to the ratification process in member states.